Safe public space is one foundation of a healthy public life. Safe public space doesn’t necessarily mean being overly securitized, policed, or surveilled. It doesn’t mean “safe” for some people and unsettling for others and it doesn’t mean safe for product placement and unsafe for protests. Public spaces must be safe for everyone – which means that all people, including the disadvantaged, should be free to enjoy them in safety. In our view, it is possible to achieve this without constant monitoring by police, cameras or security guards. 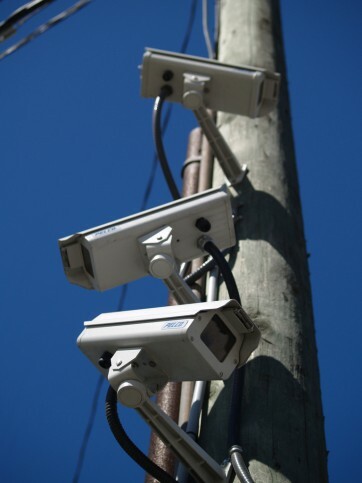 An emphasis must be placed on the natural surveillance provided by ensuring that there are eyes on the streets, and by good design to create safe public spaces. Over time, this can improve people’s safety, and their sense of safety, at less expense and without the negative impacts on people’s sense of enjoyment and freedom in public spaces that accompany increased formal surveillance.